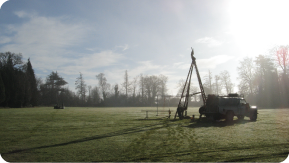 Endeavour Drilling Geo-Environmental Drilling Specialists - Maldon, Essex, UK. 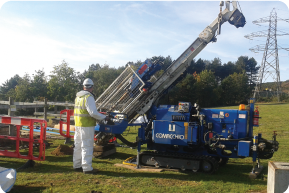 Welcome to Endeavour Drilling Ltd the Geo Environmental specialists who can provide a nationwide service. We thrive on creating professional solutions for unique and challenging projects. Our highly qualified and experienced personnel are committed to providing a cost effective, punctual, courteous and professional service. This commitment has enabled us to establish a wide ranging client base, covering all facets of the Geo Environmental and construction industries. 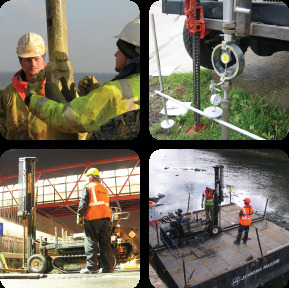 We have extensive involvement of infrastructural schemes covering both road and rail, nuclear sites, airports, garage forecourts, pre purchase surveys, housing/commercial developments, directional drilling ground appraisals, mezzanine investigations and dewatering projects. Our Achilles Verify accreditation has enabled us to successfully secure term contracts with the main Utility providers.